ParallaxCoin (PLX) is an Innovative coin. It is a Scrypt Adaptive-N factor coin that can be mined simultaneously with another NScrypt coin such as VertCoin for free (Merged Mining). Merged mining works by hashing the merged chain’s tx’s along with the other chain and submitting that to both chains. You’ll be able to mine PLX, and any other scrypt-n coin, at the same efficiency you would only mine the secondary coin. 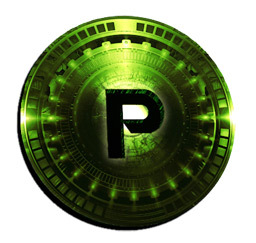 This new technology makes PLX the most secure NScrypt coin as Parallax has the potential to combine the hashrates of all NScrypt coins, thus resulting in more network hashrate and a higher level of security. With the advent of Scrypt ASIC miners, Scrypt has become unprofitable for the average person with a GPU mining rig, resulting in most of the network hashrate being centered on big mining operations by private companies, resulting in Scrypt coins being less decentralized (Decentralization is the core of Bitcoin security). Scrypt Adaptive N-Factor is ASIC resistant, improving security.